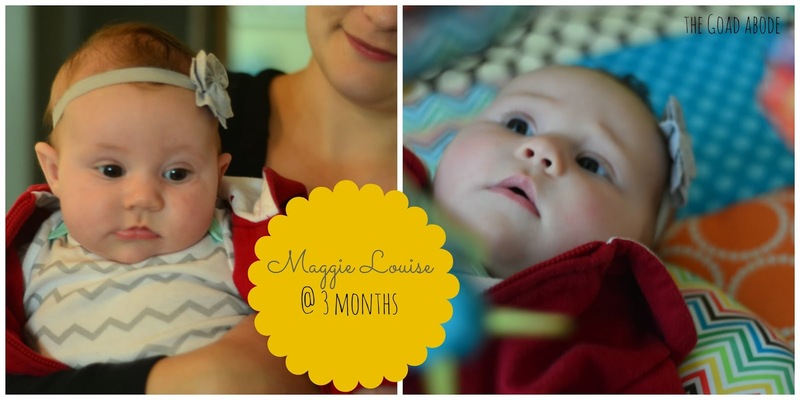 One thing I want to remember from Maggie's third month is her intent look (shown above). She often stares are people and things, as if she's trying to figure them out. She also noticed our dog, Milton, this month. Maggie tolerates him and doesn't cry when he gets in her face (even though we tell him not to lick her; he's still learning). I think they're destined to become best buddies. I can't believe she's already 3 months! 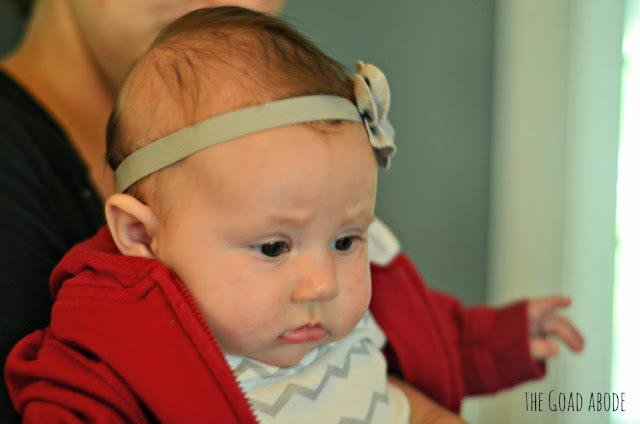 She's such a cutie...yay for content and happy babies as long as they get their food! I always had a grumpy face as a kid. People thought I was angry all the time. Now as an adult, I still make the same face and people always ask me what is wrong. I look at them confused and can't figure out what they are talking about. oh i bet her and milton will be best friends! What a sweet girl! 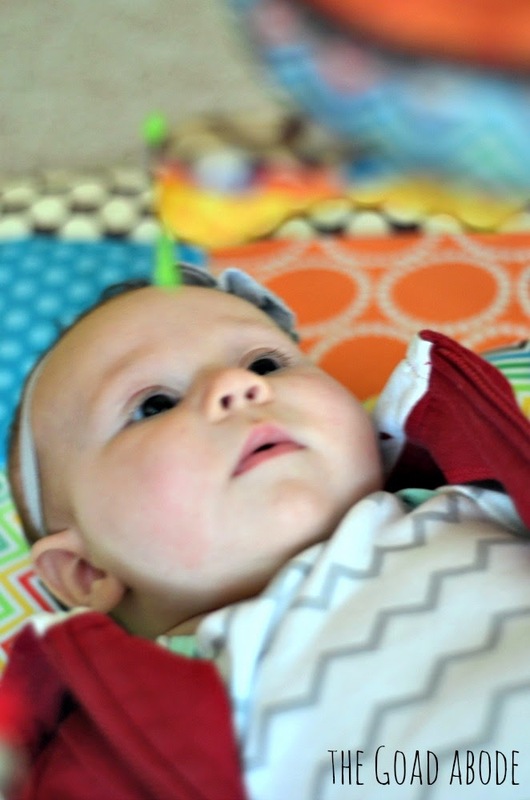 I think all babies are fascinated with ceiling fans...makes you wonder if you really need a mobile if you have a ceiling fan!